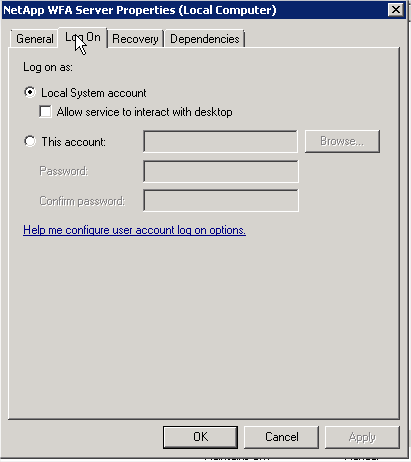 No snap-ins have been registered for Widnwos PowerShell version 2. Any ideas how to solve thi s? 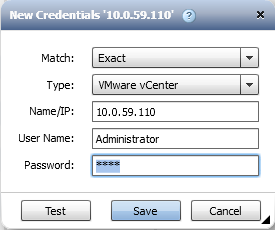 As per the WFA installation and setup guide, you have to install the PowerCLI package from VMware for working with VMware through WFA. 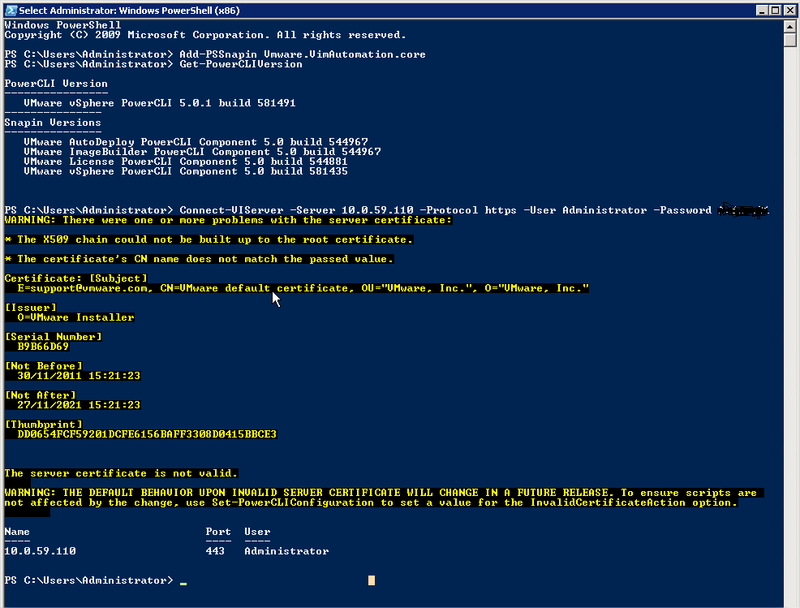 Could you please perform the following actions in order to verify PowerCLI installation and connectivity. Let me know if you are able to connect and provide me with the output of Connect-VIServer command. Great, it means that you don't have any problems with installation and you are able to connect manually. What message do you get? 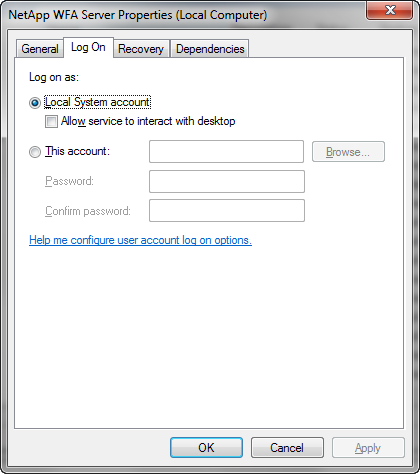 Additionally, what is WFA service log on user? 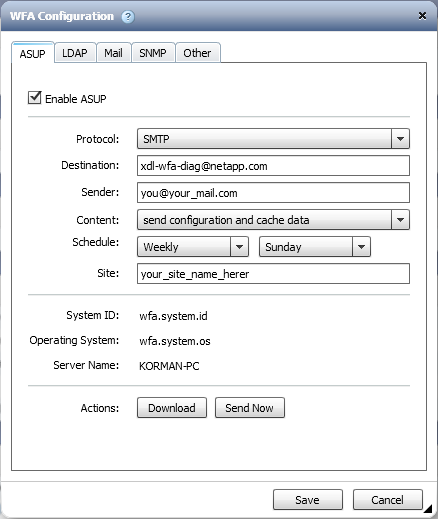 Right click on "NetApp WFA Server"
2012-05-08 10:46:27,862 CEST ERROR [com.netapp.wfa.ui.LogServiceImpl] (http-0.0.0.0-80-2) [unknown] com.netapp.wfa.ui.app.main.ErrorController - Server fault. Please refer to the logs for more info. 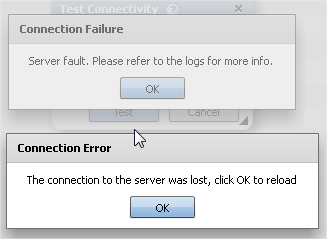 Actually you've got two error messages one of them might lead us to the problem. Please configure ASUP and send it. Once received, I'll pass over logs and notify you about my findings.